Myths are important to society. What would life be if it were just full of facts and nothing but facts? Facts count for a lot in courtrooms. In the movie ‘Philadelphia’ the judge tells Denzel Washington, defending an Aids-infected Tom Hanks sacked from his job: “In this courtroom, Mr.Miller, justice is blind to matters of race, creed, color, religion, and sexual orientation”. That’s a nice line and could be true. Washington responds: “With all due respect, your honor, we don't live in this courtroom, do we”? Courtrooms can claim to be blind but society isn’t. Lies, prejudices, propaganda, myths count for a lot in society! Without these our lives would be incomplete. Perhaps even boring! Take a look at the man in the pic. Would you leave a child in the care of this man? There are times when he was “Wanted” as a terrorist. He is reputed to have unleashed some terrible acts of violence as head of a terrorist group. These are written about him. Well, I will leave you to wonder who he is and what happened to him. There are other myths that are even funny. For instance it’s a myth that Hindi is our only National language. It’s not; it’s just one of many. Now, hold your breath this next one will shock you. We don’t have a National game even. Most of us were brought up thinking Hockey is our national game. It took a young girl to establish the fact and destroy the myth, and probably the happiness of some. This same girl had previously established that the title of ‘Father of nation’ wasn’t conferred on MKGandhi by anyone (See report). That seems alright though. Titles like “Mahatma” or “Father of nation” can’t really be official govt titles. But having created the myth of the “Father” nobody dare question it for fear of rebuke or censure. It does sound, though, as if all others who fought and made sacrifices for the nation were toddlers. It can even be argued that it would be more realistic to call Sardar Patel, who is credited with uniting India as we know it, the real “father of the nation”. Historians often lie, media sells propaganda and school text books are manipulated to create many myths. One of the modern day myths perpetrated in India is about Sonia Gandhi. Umm.. she’s the equivalent of Mother Teresa as some would have us believe. Don’t laugh, this is serious. I got to know recently that Sonia Gandhi was recommended for the Nobel Peace prize this year. That’s not all. This is the 9th time in a row that she has been recommended for that prize. The organisation consistently recommending her is called ‘International Awakening Centre’. Oops! Another IAC! So I tried to find out what this particular IAC is and didn’t get very far. All I could learn is that they have an office somewhere in Delhi and do all kinds of social work. Ah! I guess one of those nice NGOs. Now hold your breath! In the latest letter recommending SoniaG for the Nobel this IAC’s head Majaz Mungeri equated her with MotherTeresa for her global work for peace. Global work? For peace? Mother Teresa? Suddenly I feel like a poorly informed citizen. SoniaG presides over the most corrupt govt India or any modern democracy in the world has ever seen. There have been various incidents of police brutalities. A Nobel Peace Prize would be quite a political coup, wouldn't it? Mother Teresa “has checked into some of the finest and costliest clinics and hospitals in the West during her bouts with heart trouble and old age.” The author mentions her visit to Haiti and her endorsement of the Duvaliers, the source of much deprivation of the poor in Haiti. Also, her acceptance of stolen money from Charles Keating, “now serving a ten-year sentence for his part in the savings and loan scandal.” Keating, a “Catholic fundamentalist”, gave Mother Teresa one and a quarter million dollars and “the use of his private jet.” During the course of Keating’s trial, Mother Teresa wrote Judge Ito asking clemency and asked Ito “to do what Jesus would do.” One of the prosecutors in the trial wrote her telling her “of 17,000 individuals from whom Mr. Keating stole $252,000,000.” He added, “You urge Judge Ito to look into his heart–as he sentences Charles Keating–and do what Jesus would do. I submit the same challenge to you. Ask yourself what Jesus would do if he were given the fruits of a crime; what Jesus would do if he were in possession of money that had been stolen; what Jesus would do if he were being exploited by a thief to ease his conscience.” The prosecutor asked her to return the money, and offered to put her “in direct contact with the rightful owners of the property now in your possession.” This supposed paragon of virtue never replied to his letter. (Also read articles here and here). Chartered flights. Not recognising corruption or responding to it. Treatment in costly hospitals in the west. Aha.. I can see where the comparison of Sonia Gandhi to MT comes from. MKGandhi was nominated 13 times and rejected (read full details here). Even Jawaharlal Nehru was nominated 11 times and rejected (read here). That must have been tiring. I’m not sure if Indira Gandhi was nominated but the Congress govt went one better in 1986. They just created the ‘Indira Gandhi Peace Prize’. Well, if Nehru-Gandhis can’t win a Nobel Peace Prize (NPP) what stops us from creating one in their name, eh? Isn’t it an irony that a national peace prize is named after the lady who imposed Emergency, throttled freedoms and jailed thousands of dissenters? There are many Mungeris in our society who like to create myths. “The latest gift to Europe is a cash transfer of $10 billion, evidently on top of the $2 billion already committed to the IMF. That the euro is in a terminal state is obvious. There is no way that Italy and even France can escape monetary and economic disaster.... Rather than throw money away by giving funds to an IMF controlled by Christine Lagarde for the sole purpose of getting the rest of the world to hand over their surpluses to the profligate in Europe, it would have been better to invest in gold or in assets, including assets abroad. Instead, PM Manmohan Singh, who knows the mind of his political boss well and has therefore been able to continue in office without interruption, has handed over a further $10 billion to the IMF. This at a time when the fiscal deficit of his recklessly extravagant government is reaching crisis levels. The Indian economy cannot afford to gift - for that is what any loan to certain European countries is - even $10 million. The economy is just two to three years away from bankruptcy. The decision of the Sonia-led ruling coalition to throw taxpayer money away is in line with other policies that favour Europe at the expense of India”. The man whose pic you saw in the first para is none other than Menachem Begin, former PM of Israel (on the right in this pic). He played an important hand in the liberation and creation of Israel. In 1981 he bombed Iraq’s nuclear facilities in a pre-emptive attack. It’s the 50th anniversary of 1962 Indo-China war. Peace cannot be achieved and maintained without the willingness to fight for it. Mahatma Gandhi wasn’t too keen on the idea of having an Army, Navy or Air-force for the country. A former army man tweeted Nehru stated police are enough to take care of the defence of our country. In the face of most violent terrorist attacks from Pakistan on Indian soil the SoniaG led UPA is busy making peace without any justice for the victims. Some crazy folks even want to play cricket with Pakistan. Some in the media don’t tire of telling us about people-to-people contact and their love for “Aman Ki Asha”. Even if one overlooks all that, SoniaG is responsible for the attack on a peaceful, sleeping crowd at Ramlila grounds on the midnight of June 4, 2011. One woman, Rajbala, died. But hey, we like myths and some will keep nominating her for the NPP. You just have to wonder who these people are. 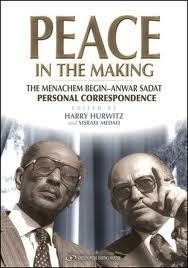 Menachem Begin was awarded the Nobel Peace Prize in 1978 jointly with Egypt’s president Anwar Sadat. This was after a peace accord signed at Camp David, USA and after Egypt finally recognised Israel. Begin died in peace in 1983 and was buried in Israel. Anwar Sadat was assassinated in 1981 for making peace with Israel. Back home one will see more myths of SoniaG’s global work for peace. Ravi. Excellent one again. To me Gandhi was not the father of nation but exploiters of Hindus. Hindus were taken for ride by Gandhi and Nehru. Most of the Indian masses behaved like sheeps. Still masses suffer from the same mentality and till the people are not exposed to misdeeds of Gandhi and Nehru and myth not destroyed, Indians will behave the way they have in past. I recommend that if ever a "India $hi$ Prize" be created the first recipients should be Sonia and her Poodle. Sometimes, animals should be rewarded too, for their acts of selfless service to a cause, which may not be worthy to our human eyes. Recently, during l'affaire Vadra, some Shiva Sena guy put it nicely. Something to the effect that these guys of CONgress gave us the father of the nation. Then they gave us the uncle (chacha) of the nation. Then they gave us the daughter-in-law (bahu) of the nation. And now they've given us the son-in-law (jamai) of the nation. 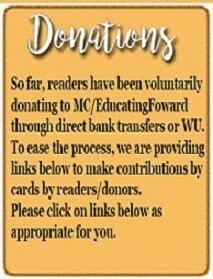 On another aspect of your article, just a few questions arise. What exactly is this gift of $12 billion to Europe? Which tree did that money grow on? Who cut that tree? All that deserves a Nobel prize alright - keeping them pesky Indians in their place, servile in perpetuity to Europe. Mungeri ke haseen sapne are not coming true I hope. But I wouldn't be too surprised to learn that Someone pays Mungeri to have these haseen sapne. "MediaCrooks" the day I become PM, i will recommend a Bharath Rathna for you! That sonia is corrupt has become clear or a long time since their links with DLF, BPTP, etc came to the fore.. Sonia and pawar an their respectie cronies have not only made zillions of dollars in corrupt deals, they have also trained politicians and bureaucrats all over India on how to do this!! Your articles are some of the best! Thanks for your great work. Ravinar, it is a pity that great articles like this has no place in the so-called "Mainstream Media". If you agree, please write on Arvind Kejriwal also. When his IAC team members were questioned, he said he has made a panel of judges calling them "Internal Lokpal". Is it right to choose panel of judges by himself to probe his partymen. "Channels" asked him - if your IAC team members are found guilty, then what action. He said that those found guilty will be expelled from the party. He calls himself "Crusader against Corruption", but he has not said that he would file a legal case on his team members those are found guilty and he has not said that he would pursue the case to get them punishment as per courts. He has pre-determined that the punishment for the guilty is "expulsion from his yet-to-be named-political-party" and no legal action against them. He is half-baked character and whoever follows him are doing at their own peril. The mandate to the Judges is also very limited as to say whether they are found guilty or not. The judges are themselves not investigators, then which is the investigating agency that would probe IAC team members. It looks like the IAC team members would present their arguements and show the documents in their possession to the Judges and the Judges will determine if they are guilty. Even if they tell lie to the judges or produce fake documents to the judges, the Judges are to believe them as there is no investigating agency. I think Kejriwal is presenting the right "recipe" to Sonia Gandhi on how to pursue cases against Congressmen. She herself can chose judges and enquire the Con'men, if found guilty, she can suspend them from her party. (Since Congress is a much larger party, Suspension from INC would be equivalent punishment to expulsion from the large IAC party). the food security bill and mnrega are schemes designed to ensure that 'mother sonia ' gets the nobel prize eventually for mitigating the suffering and hunger of the teeming poverty struck 'natives' of india. do not ever think of creating jobs for the needy because money in the pocket makes the mind more freely inquisitive and questioning. keep them impoverished and needy , trade in misery and ensure that they remain mired in poverty , ignorance and hunger ,throw them a bone occasionally and they will be indebted to you for life. cosa questi indiani idiota sa comunque? - from the italian - what do these idiot indians know anyway ? Brilliant indeed. Forget NPP, SoniaG good for any award? During this Durga Puja lets pray Godess Durga for more courage, Godess Sarawathi more power to your pen,and Godess Lakshmi for your health and wealth. Super duper! This site keeps hittings harder and harder! This one is awesome. Kejriwal is another myth created by SoniaG whom people trust more than themselves. And a recent series of news regarding Kejriwal confirm this fact. For instance, Diggy yesterday wrote a letter to Kejriwal to alienate themselves from him and then Kejriwal dared Sonia, Rahul and PM for a debate on corruption. The people who don't give a interview will debate with you? What a joke! Also, Diggy said they never used evidence of corruption against kins of Advani and Vajpayee. This was just a rhetoric to remind people that Cong and BJP work together after failed attempt of Kejriwal in the previous press conference. Coming to IAC ,these people are playing with the emotions of middle class. Some people even say that these Socialist Scumbags will lead India to a developed nation! The sooner people loose faith in them, the better it will be! as we say in delhi, machaa di boss.. too good. and i think u gave us people shock by telling us that sonia was recommended for nobel prize. national level k jija ji ne theek hi kahan hai. we are a banana republic. infact in delhi these congress party is distributing cycle rickshaws to migrant biharis and guess what they imprint on that rickshaw? "karuna ki devi, tyaag ki murti, mahanetri shrimati sonia gandhi zindabaad".. so u see how are they forcing us to see such idiocity everyday. and about the title of father of a nation, i think only Sardar Vallabhbhai Patel deserved that.but i am sure he must have declined that. coz he was not nehru. I still ponder, only if, only if...Sardar Patel became PM of India. we indians are like mushrooms-- always in the dark. we dont even know the inside story of the 'father of the nation' and the person whom bongs would like to make "the mother of the nation"
hey--we dont even know anything about the sino- indian war of 1962--after 50 years. Actually, Sonia Gandhi *is* the equivalent of M. Teresa. If M. Teresa could get a Nobel "Peace" prize, I don't see how Antonia Maino, aka Sonia Gandhi, cannot get one. Well, in every article of yours there is some takeaway for me. What in this article is a takeaway? It is SoniaG and Nehru being recommended for Noble Peace Prize!!! This is hilarious. Now what kind of people would do so such things: either they are simpleton folks or there is a huge potential for some enormous profit to be made from the Gandhi family. The problem is why do we learn of such things from you and not from our media? I remember there was a South Indian filmed names "Jeans" produced by Amritraj brothers. Whoever saw this filmed got pissed off and hated it. But to add insult to their injury this film was recommended for Oscar nomination. Most of the folks who come to your site will know this story. Why? Because our media gave prominence to this news and made fun of it. Why? Only reason because SoniaG was not involved in anyway with this film!! Great article Ravinar! 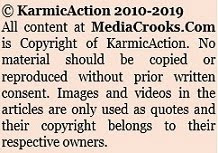 However, I am a little confused that you chose to write this in Mediacrooks as this blog is primarily targeted at the crooks in media. Is it because the mainstream media propagates myths of 'famous' people and fails to question these myths for fear of backlash? I say this because this article is primarily exposing the dark side of the people we hold in high esteem. Additionally, I hope you have a plan to open politicalcrooks.com in the future for further wonderful articles. The point was about myths not being covered by media..as in the case of Mother Teresa and some of her "unsaintly" actions. (And some myths being destroyed by a little girl too rather than media). Also, no real scrutiny of SoniaG's billions donated to Europe. Awesome..You are not only knowledgeable but mind-blowing writer.. Adding 1 more point:- Even her Husband aspired for Noble & sent thousands of army men to die in fight with LTT in SriLanka,when Punjab,Assam & J&K was burning.Really great man,who left his own house burning to save others.But Media didn't even bother to report cause of Murder of this Great Man. I feel Title "Father Of Nation" is well deserved,because when a man becomes bigger than Nation,When his Ego becomes bigger than his purpose,when his views becomes more important than Security of Nation,what else can we call him? The Family should simply be deemed a monarchy, with Sonia Gandhi crowned the Queen, Rahul the Price and Digvijaya Singh the court jester. This will take their damaging influence out of politics and the tax payer can continue to fund their lifestyles without having to ruin the economy with the Family puppets. There are some who will crib this takes us away from being a democracy. But then, we were never a democracy. The Mughals and British have conditioned us to become a Sychophancracy. With the elevation of Sonia to the status of the queen, we can formalise this new form of governance. The $12billion is gifted to EU which will fly back into india for conversion activities after we are a secular country. The title "Father of the Nation" originated from romans . We consider this land and our country as our mother which takes care of us. Everybody from Gandhi/Patel/Bose or any body else can be called the glorious son of this country but none can be its father. You forgot to mention the other two who also shared the NPP from the same region....Yasser Arafat and Ehud Barak....both terrorists in their own right. However the Indian government had banned the confession of Nathuram. 1. In 1919 people of India wanted General Dyer to be tried for the Massacre of innocent people at Jalianwalla Baugh. Gandhi refused to support this demand. 2. Whole of India wanted Gandhi to intervene and save Bhagat Singh, Rajguru and Sukhdev from the gallows. Gandhi stubbornly refused on the grounds that they were misguided freedom fighters, and theirs was an act of violence. 3. On 6th May 1946 on public platform, Gandhi asked Hindus to sacrifice and not fight the members of Muslim League. In Kerala Muslim league members killed over 1500 Hindus and converted 2000 to Islam. Instead of protesting Gandhi expressed that it was a brave act of Allah’s followers. 4. On several occasions Gandhi called Shivaji, Maha Rana pratap and Guru Govind Singh as misguided nationalists. 5. Gandhi advised Raja Harisingh of Kashmir to abdicate as Kashmir had Muslim majority ,and settle down in Kashi. On the other hand he supported the Nizam (Osman Ali Khan) of Hyderabad to join Pakistan, even though the state of Hyderabad (Andhra , Telangana, Karnataka and Berar) had Hundu majority. Sardar Vallabh bhai Patel however over ruled Gandhi. When Nehru heard of Patel’s police action in Hyderabad (operation POLO) he disconnected his telephone with Patel. 6. In 1931 the Congress Committee on designing of Indian flag suggested that the flag be only in saffron. Gandhi insisted changed it to a tri-colour flag. 7. During the Tripura Congress , Subhash Chandra Bose was elected as president with majority. However Gandhi supported Pattabhai Sitaramayya forcing Bose to resign. 8. On 15th June 1947 during congress conclave it was decided to resist the partition of India but Gandhi went to the meeting at the last minute and supported the partition. Infact it was Gandhi who had declared earlier that partition will take place only over my dead body. 9. Sardar Patel was elected by majority as the first Prime Minister but Gandhi insisted on Nehru. 10. Nehru government had decided to reconstruct Somnath Mandir at its cost but Gandhi without even being a member of the ministry forced the Govt. to reject this proposal. At the same time on 13th January 1948 he went on a fast to allow Muslims to repair the mosque in Delhi at govt’s cost. 11. When Hindus refugees returned to India after partition, some of them took shelter in some mosques temporarily. When Muslims objected ,Gandhi forced all such Hindus children, ladies and the old to leave the mosque and live on the streets. 12. In October 1947 Pakistan attacked Kashmir, Gandhi went on a fast and forced the Indian Government to pay Pakistan a compensation of Rs.55 crore. Gandhi did not mind hurting Hindu feelings to win over the Indian Muslims.